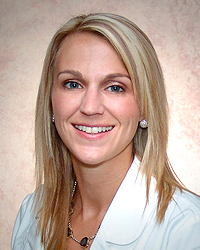 Sarah King, APRN-CNP is a highly skilled women’s health certified nurse practitioner. Prior to earning her post-graduate medical degree, Sarah was an experienced registered nurse, specializing in labor and delivery-with years working in the special care nursery. She uses this experience and her specialized background at Progressive Women’s Health Prenatal Care Program, and in caring for her obstetrical patients. Sarah is instrumental in the Non-Surgical Urinary Incontinence Care Program at Progressive Women’s Healthcare and serves as a Myriad genetics educator. Sarah welcomes new patients of all ages. Sarah King, APRN-CNP is experienced in caring for woman of all ages, providing services that include; annual well women visits, gynecologic problem visits, obstetrical care, contraceptive management, incontinence care without surgery, hereditary cancer screening, breast care, osteoporosis prevention and care, wellness counseling, menopause management, colposcopy for abnormal pap smears and other women’s health services. Sarah is devoted to delivering compassionate, individualized care to every patient, across their lifespan, with a focus on health prevention.